I love shoes especially when it has great style on it. I can wear them on any occasion at anytime I want. Additionally, collection different shoes are what I love to do. I’m thankful that Sandgrens has given me the wonderful opportunity to collaborate on a review in one of their famous clogs. I choose a Milan High - Black among the stylish selection that has a retail value of $169.00. It carries different colors if you wish a different. I have the 3.9” heel which also available in flat heels. While waiting for the product sample in the mail, I wonder about Sandgrens’ company story. I learned about a few great stories about the company’s background. To be educated about Sandgrens Clogs is really a great feeling; it feels like you know that company’s mission. Sandgrens is originally found as a leather tannery in the mid 1800s. Sweden is one of the countries who cherished clog mostly. Sandgrens is one of the oldest clog manufacturer – brands in the world as well as they are the largest too. That’s why, I’m so grateful to have the break to be a part of the company’s treasured products. Does look great on my feet.. Shipment is quite fast. I received the product in no time. It's very light so I never even thought that it’s the shoes from Sandgrens. 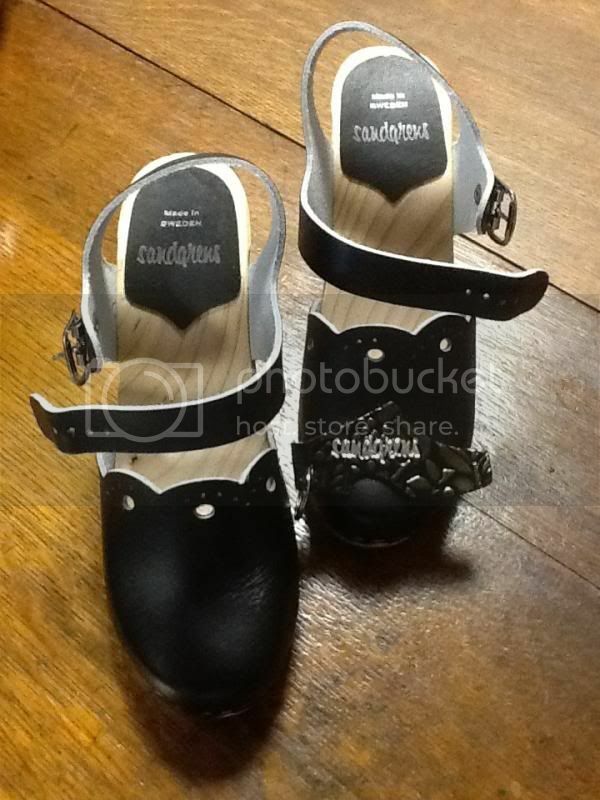 Lightweight, very comfortable on your feet, love the wooden the design very trendy. You can also tell the good quality of material being used. Very stylish indeed, what surprises me more is that I never felt pain from all the walking when I used these shoes, gives my feet a comfortable feeling while walking in a high heel. I was wrong, Milan High has 3.9” heel and indeed easy to walk, thus never hurts my feet at all. You may check them @ http://www.store.sandgrensclogs.com/int/, or you may contact them at 1-800-245-0187. Please follow them on Facebook, Twitter, and Pinterest. A disclaimer: This is not a sponsored post. I received Milan High Shoe from Sandgrens for free in exchange of my honesty review. The outlook I expressed is 100% exclusively mine. lovely clogs! i have a couple of them with no straps and the usual design only! this one looks os fahionable! I am attracted with your shoes mami novs. mura siya ug bakya but in the modern kind of way hehe. It does look cute on your feet. Glad, you got a pair for free. That is a beautiful pair. I love the design. Cute nga but just thinking why magkaiba ang design? That sure is a lovely pair of clogs! 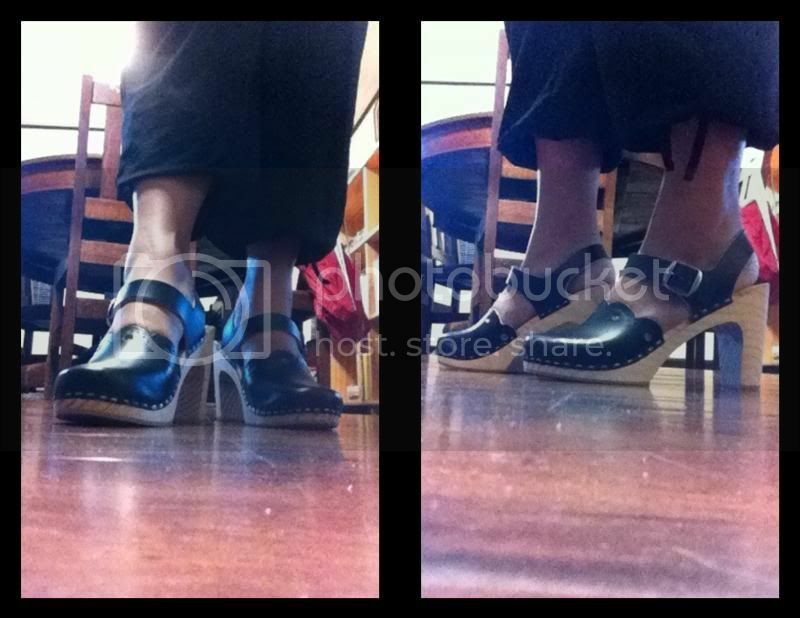 Sadly, clogs don't look good on my tiny feet.. I also envy women who are really shoeholic and those that really have an eye what shoes will prefect fit a certain attire. I am a shoe-holic, too! I mean, whose woman is not? LOL. I am not into clogs though. I can imagine my mom and one older sister who would be delighted with this style. I like the style of your new shoes mommy. Looks cute in your feet. Oh, I so love how it looks! My type! Will go check out the site, for sure!